Bed. 1 - 1 double bed, wardrobe. Bed. 2 - 1 double bed, wardrobe. Bed. 3 - 1 set of full size pine bunk beds, chest of drawers. Diner/Lounge - 2 seater settee,2 tub chairs, dining table and chairs, digi TV, digi box. Kitchen - Fridge freezer, cooker, microwave. Shower - Shower cubicle, sink and large mirror. 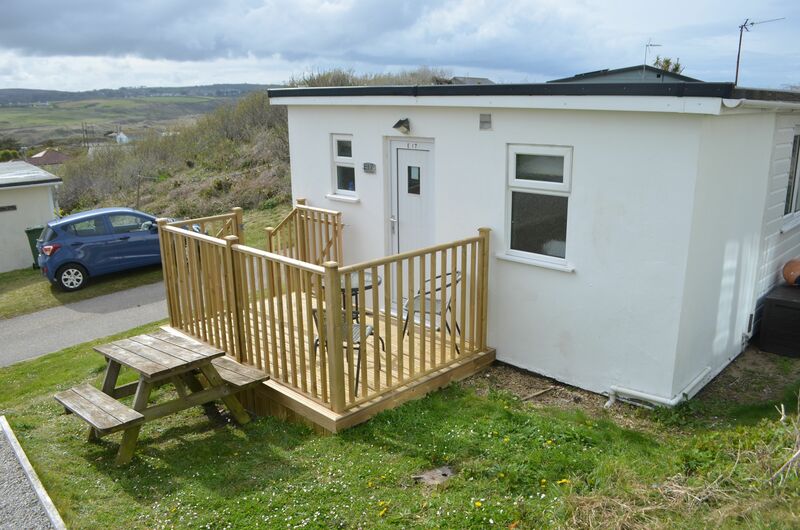 This property accepts dogs at £32 each per week. Please note that if the property accommodates, and you are bringing, more than one dog a £100 refundable security deposit will be added to your booking. No testimonials available for this property at present.